This will be the last week where I post my thoughts on each episode on its own post. Starting next week, I’ll be discussing Gotham, S.H.I.E.L.D., the Flash, and eventually Constantine on a combined post covering all the shows until I decide to stop watching some of them. But Gotham has been a strange creature these past few weeks. Each time I watch the show, I do enjoy it quite a bit. But then after the credits roll and I begin to think about it a bit in order to write my thoughts on it, I start poking holes in it. Whether it’s the Penguin, or Fish Mooney, or Jim Gordon himself, there’s a lot of elements of the show that just rub me the wrong way as it pertains to the Batman mythos, at least the corner of the mythos that I know about. This was the first episode where I started poking holes in the show as I was watching it, but at this point there is still enough good in the show for me to latch onto to stick with it for a while longer at least. Aside from that moment, this episode went back to the problem I had with the pilot where there is too much “on the nose” foreshadowing of Batman’s Gotham. Especially how this episode essentially deals with Gotham’s first notable vigilante, and when he is captured by Gordon, little Bruce Wayne just happens to be watching the television news when they say “if he won’t protect the citizens of Gotham, who will?”. Hmm… maybe Batman? It’s just things like that moment that irritate me more and more as the show goes on. There are still a few things that I can grab a hold of that still make the show worth watching for me, and the biggest part of that is Donal Logue’s Harvey Bullock. Week after week, his corrupt cop with a reluctantly good heart deep down, at least when it suits his needs, has been the highlight of the show. While Jim Gordon himself seems to spend most of his time making a pruneface as he struggles with his own decisions of trying to be a good man in a corrupt system. It’s tough to keep watching a show when the main character often comes up as being the weakest link. But time will tell, until next time this has been Bubbawheat for Flights, Tights, and Movie Nights. 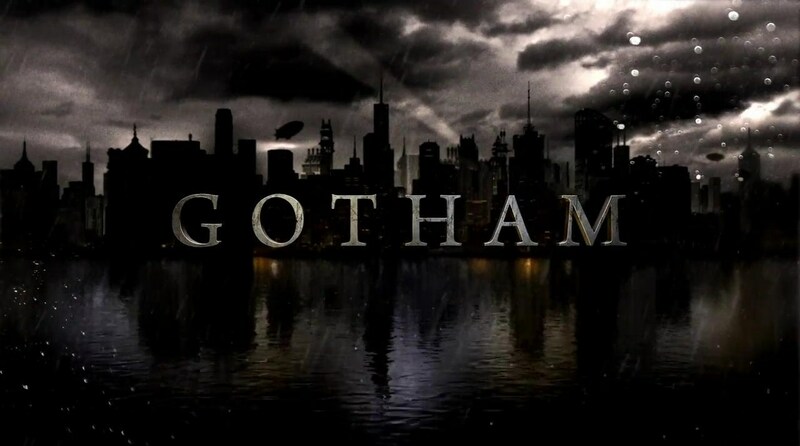 Posted on October 6, 2014, in TV Nights and tagged batman, DC, gotham, review, television, tv. Bookmark the permalink. 2 Comments. That on the nose foreshadowing has been a problem all three episodes so far for me too. The show would work so much better without the constant check-in on the future of Gotham and focus on “Gotham’s” present (Gordon, Bullock, Fish, Falcone). If it can just find a good thread to focus on and stick with that, but it’s just trying to do too much at once. Penguin, the MCU, Gordon, his girlfriend, Bruce Wayne, Catwoman, and whatever new villain they want to introduce or hint at.